- The true length of this axle shaft is 172mm long. 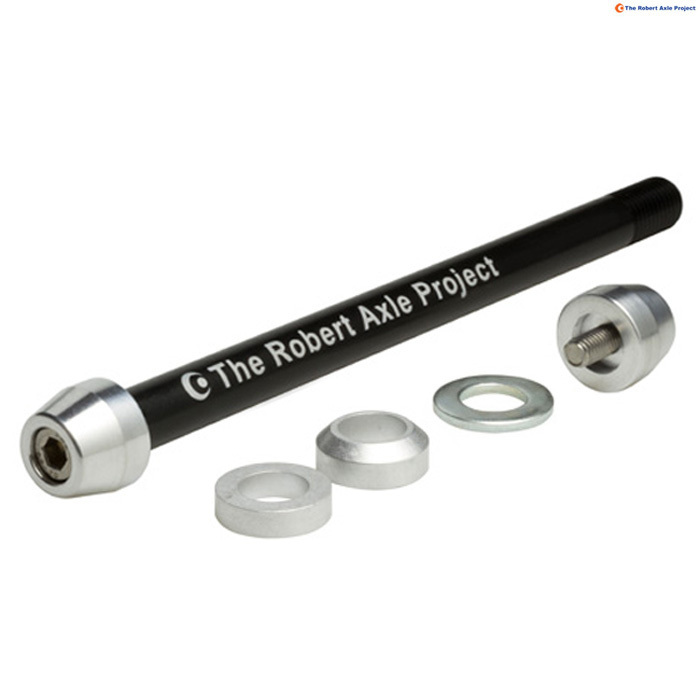 This axle comes with a flat & a tapered (X-12) spacer. So this axle can be 172, 167 or 160mm long depending on spacers used. - Compatible with Syntace 12x142 & 12x148 axles as well as other manufacturers with similar dimensions. - Important: Make sure the trainer will accept the additional width of a thru-axle equipped bike. The total width of this axle is 202mm.